Time is flying and we are only weeks away from the 10th annual Gospel Rising Music Festival! It’s your last week to catch the best value ticket to the festival which includes access to pretty much everything over the whole weekend including three choral, musicianship or choreography workshops of your choice. 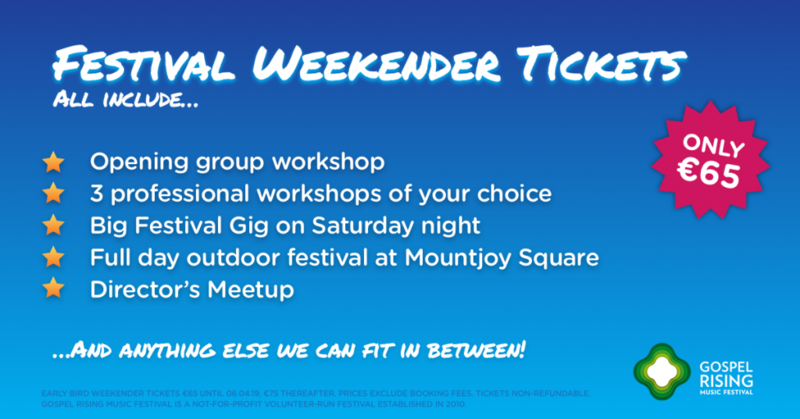 Early Bird Weekender tickets are available until late on Sunday April 7th for €65 excluding fees. Weekender tickets will still be available after the weekend but will be priced at €75 excluding fees. Get them here on Eventbrite. 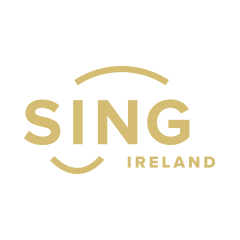 Tickets will soon be on sale for the Saturday night big gig (included in the Weekender pass) featuring participating choirs from around Ireland which takes place in the stunning St. Francis Xavier’s Church on Gardiner Street. 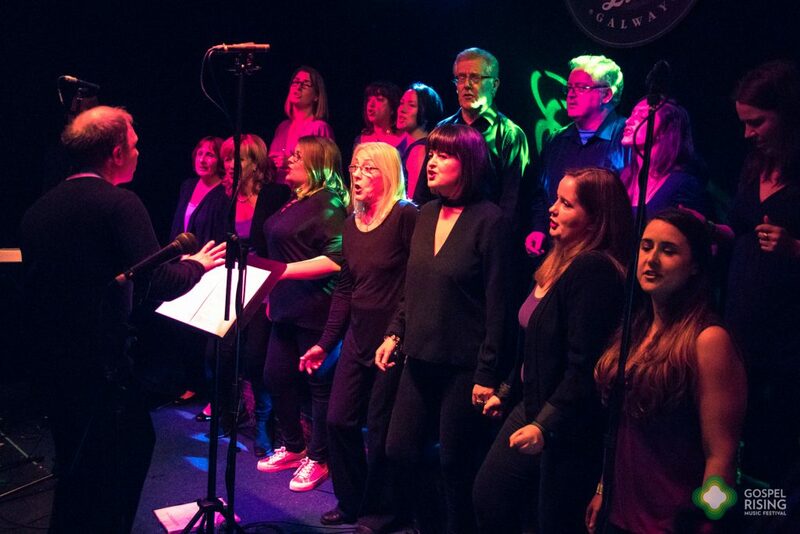 The line-up for the mega Super Soul Sunday outdoor event in Mountjoy Square Park will be available going up shortly too and will feature a mix of Ireland’s top choirs from gospel, pop, rock and beyond! Looking forward to seeing you all real soon! All fields below must be filled. Your email address will not be published. All comments must be approved by Gospel Rising and therefore will not appear here immediately.